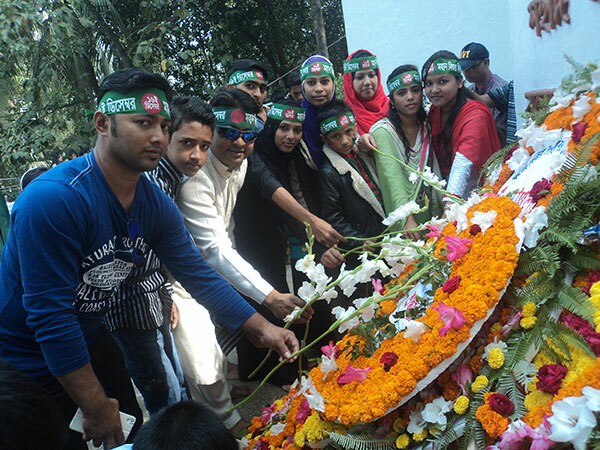 At first volunteers gathered at the central “Shahid Miner”, and pay their respect by laying flower there. 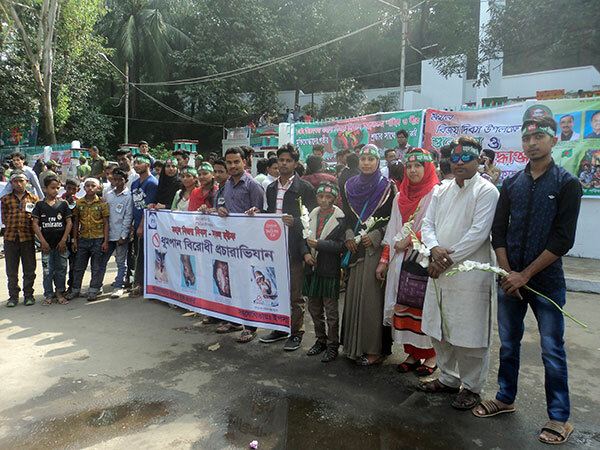 Then they stand with benner & festoon with anti tobacco massage to aware the people, who came to pay their respect at Shahid Miner on Victory Day of Bangladesh. 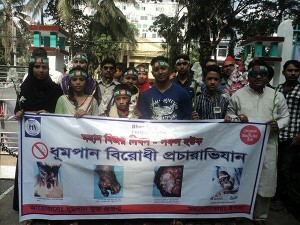 Program officer of YPSA Smoke free Project Mohammad Omar Shahed coordinated the campaign.